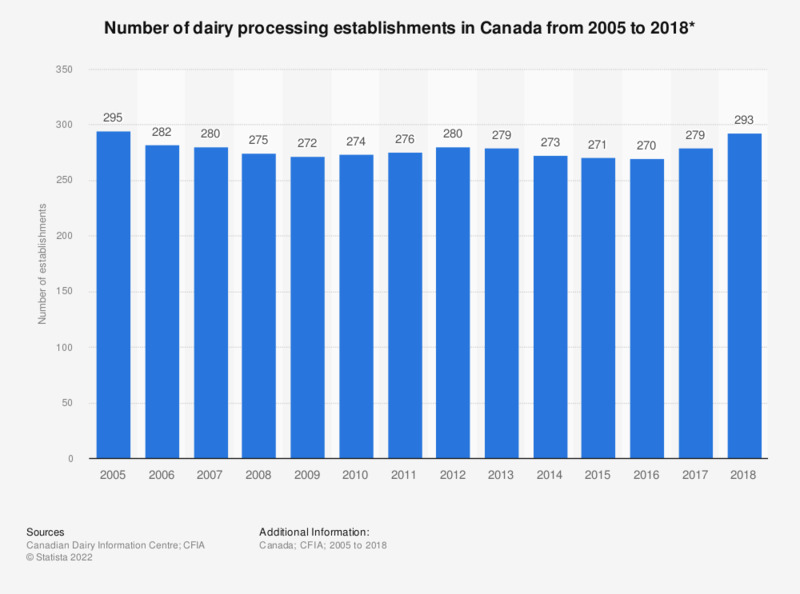 This statistic shows the number of dairy processing establishments in Canada from 2005 to 2017. There were 279 federally registered dairy processing establishments In Canada in 2017, an increase from from 270 the previous year. Which of the following factors influence you when buying dairy products?